Appointed Mufti of Jerusalem by the British in 1921, Haj Amin al-Husseini was the most prominent Arab figure in Palestine during the Mandatory period. Al-Husseini was born in Jerusalem in 1893, and went on to serve in the Ottoman Army during World War I. Anti-British and anti-Jewish, the mufti was the key nationalist figure among Muslims in Palestine. Fearful that increased Jewish immigration to Palestine would damage Arab standing in the area, the mufti engineered the bloody riots against Jewish settlement in 1929 and 1936. One of the mufti's most successful projects was the restoration of the Dome of the Rock and the al-Aqsa mosque. With funds collected from India and various Arab states, the Dome was plated in gold. The impressive looks of the Dome greatly enhanced the status of Jerusalem in the eyes of Muslims throughout the world. Similarly, al-Husseini's own status as Mufti of Jerusalem increased his standing as an influential Arab leader. The mufti was dismissed from his position following the riots of 1936. No longer able to stay in Palestine, he continued his extremist activities from abroad. 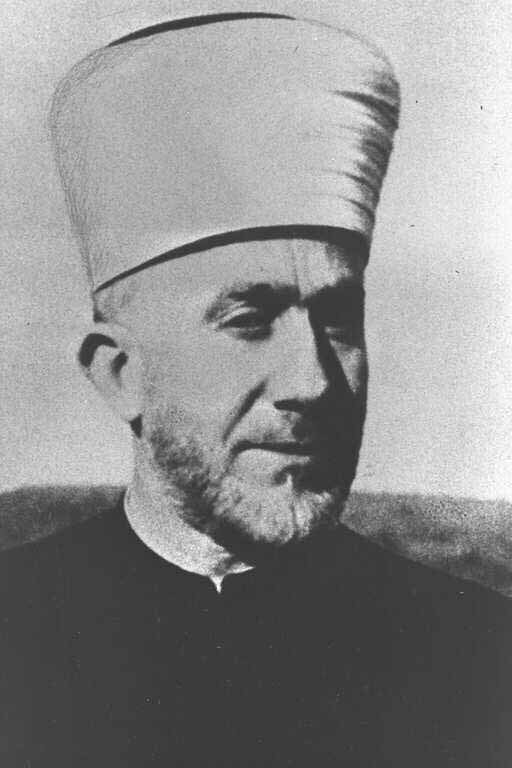 During World War II, the mufti was involved in the mobilization of support for Germany among Muslims. In November 1941, the Mufti met with Hitler. Although he continued to be involved in politics, al-Husseini's influence gradually declined after the defeat of the Arab armies in 1948. A new document attesting to the connection between Nazi Germany and the Mufti was released in March 2017. In the letter published by the National Library of Israel Archives, SS Chief Heinrich Himmler heaps praise upon Mufti al-Husseini, stating that the Nazi leadership has been closely following the battle of freedom-seeking Arabs - and especially in Palestine - against the Jewish invaders. Himmler ends the letter by bidding the Mufti warm wishes for the continuation of your battle until the big victory. This letter was delivered in the Fall of 1943, two years after the Mufti's famous meeting with Adolf Hitler. Letter written to Grand Mufti from Himmler uncovered, YNet News, (March 30, 2017).